Montonale is situated near the small village of the same name, in the inland part of Desenzano del Garda, near Brescia, between Lake Garda and the Colline Moreniche, in the Lugana DOC. Here – a region first praised for its wines by Catullus – the unique combination of different chalky clays are rich in minerals, and particularly well-suited to the Turbiana grape. The resulting wines have lots of minerality, good acidity, and intense, complex aromas. The Turbiana variety – also known as Trebbiano di Lugana, Trebbiano di Soave, Trebbiano Veltenesi or just Verdicchio – is native to the area, having been grown here since Roman times. 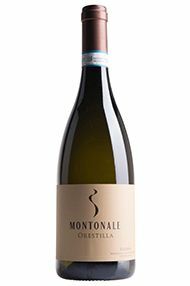 The Girelli family has been farming their vineyards in Montonale since 1911. 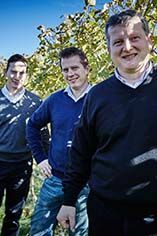 Today the winery is in the hands of the fourth generation – being managed by Claudio, Roberto and Valentino. They have built a new environmentally friendly cellar, and are passionate about producing high-quality wines with a respect for the region’s tradition and terroir.